Well hunting seasons over and it’s time to get back to the fishing! You can say it’s anything but cold right now in Venice, because the fishing is on fire! With this past week of decent weather the wahoo bite has been on! With numerous rigs extremity close in has held plenty of wahoo ranging from 40 to 60 lbs class, and in most cases double digit bites and hauls! The lump fishing by all means is full of life! Some days about a mile from approaching the lump you can see giant schools of bait getting exploded by tunas, big king macrales,etc. Most fish caught off the lump are hand fed. While chumming the waters it seems every piece of bait you throw in gets eaten by some kind fish! Before you know it the rods are bent over and drags are screaming! Most will say this time of year is their favorite, it’s defiantly mine! Most days we’re not having to travel further than 30 miles out before we’re on fish! 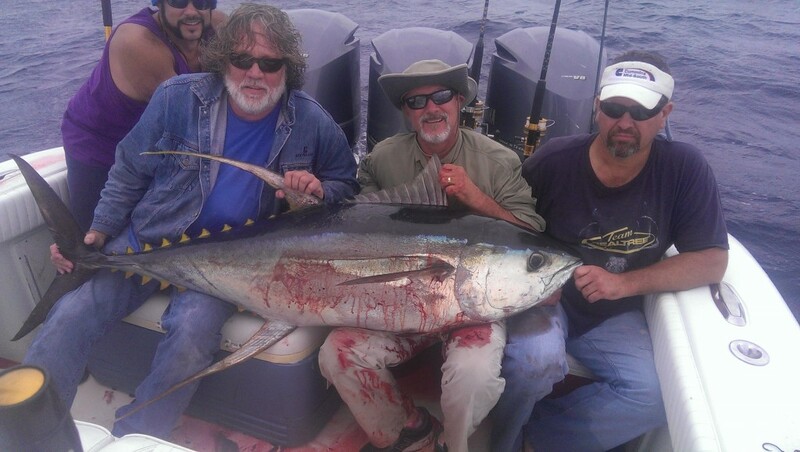 At just 1 of the many lumps you can catch big yellow fin tunas ranging from 60 to 150 lbs class and sometimes even bigger than that like 180 to 200plus class!! 7 out of the top 10 gulf record yft’s is from the world famous Midnight Lump! 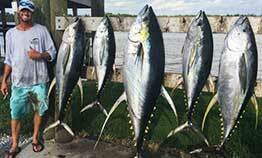 Also there are usually many huge blackfin tunas ranging from the 15 to 30lb class. The wahoos are also plentiful at our lumps, not to mention many different species of delicious bottom fish such as, amberjacks, bee-line snapper, lane snapper, and also grouper. 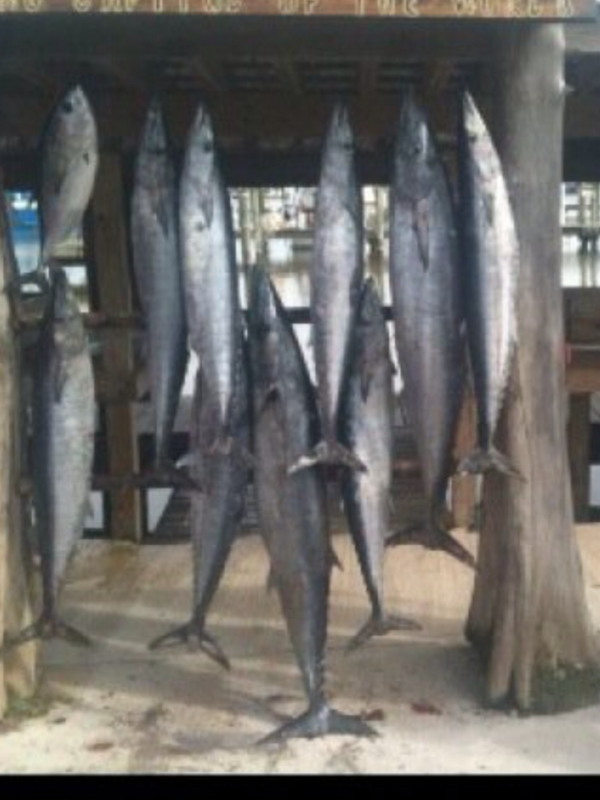 So when the wind isn’t blowing gather your buddies put on a coat and some boots and call me to book a charter! Now is the time to book a trip of a life time! !